Supports a healthy respiratory system, Holy Basil. Pack size and strength: Powder (Strength: 100g). 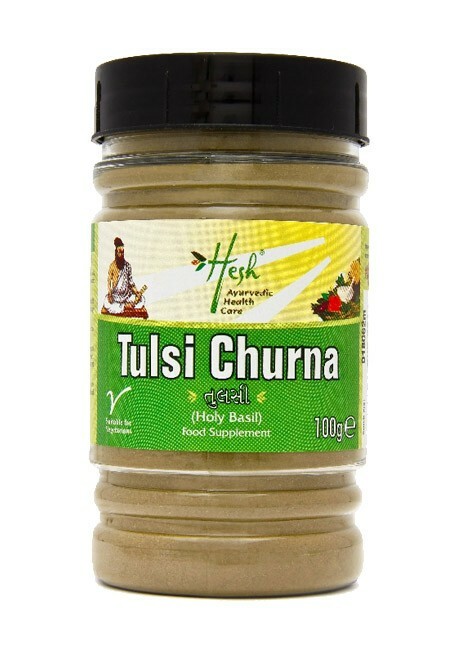 Tulsi (Ocimum Saanctum) is also known as Holy Basil and is recognized for its benefits. Used for centuries in Ayurvedic preparations to support a healthy respiratory system. 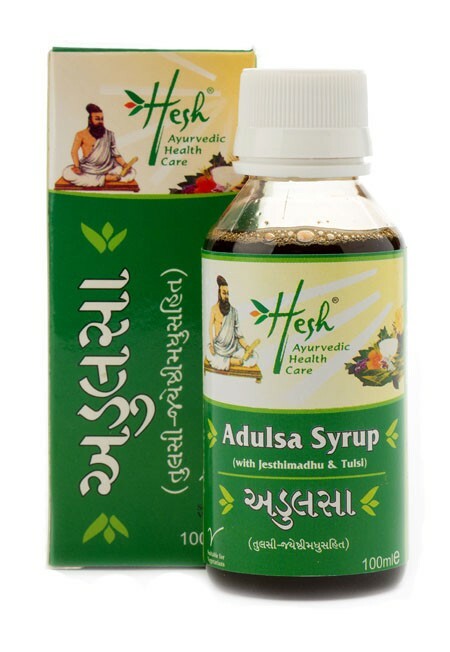 This natural supplement, along with others in the Hesh healthcare range, is derived from Ayurveda, the ancient Indian therapy, as a part of a healthy lifestyle. 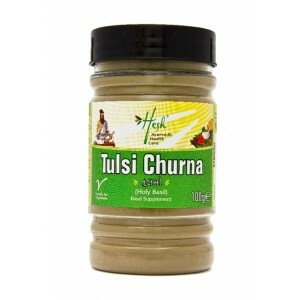 Tulsi (Ocimum Saanctum) is also known as Holy Basil and is recognized for its benefits. Used for centuries in Ayurvedic preparations to support a healthy respiratory system. 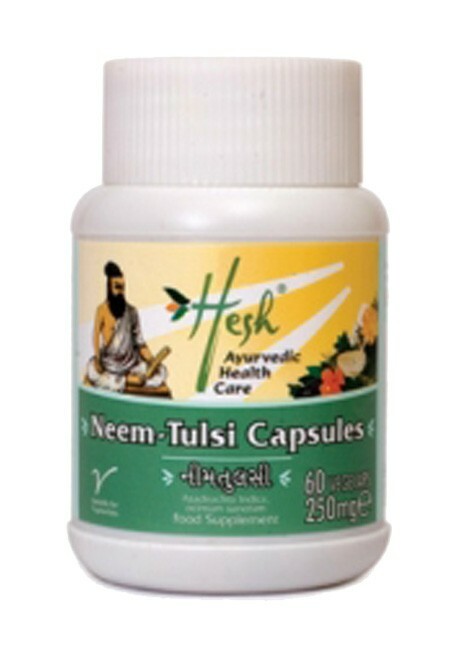 This natural supplement along with others in the Hesh healthcare range, is derived from Ayurveda, the ancient Indian therapy as a part of a healthy lifestyle.